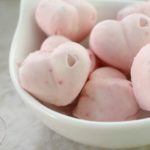 These Keto Strawberry Cheesecake Fat Bombs will cure your sweet tooth while helping you reach your daily macros! 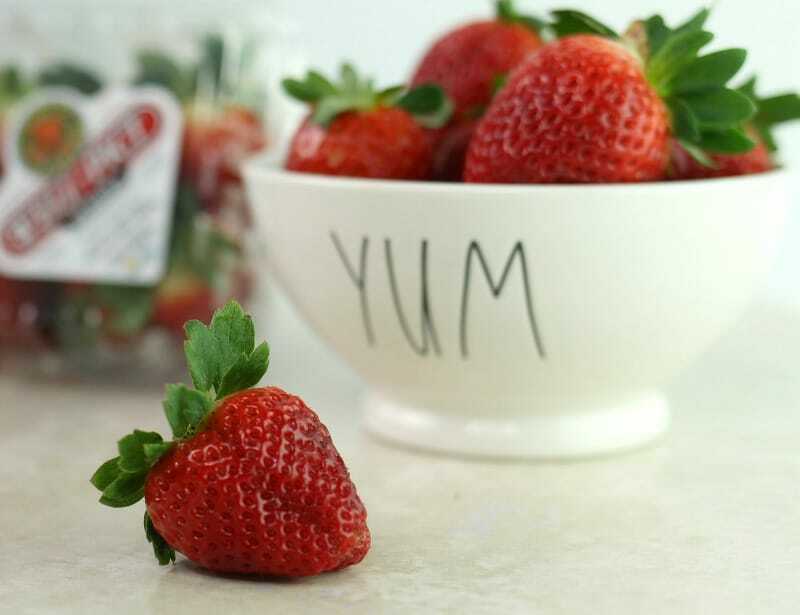 Sweet and tart and full of flavor – this is a crowd favorite recipe featuring delicious Fresh From Florida Strawberries – now in season! 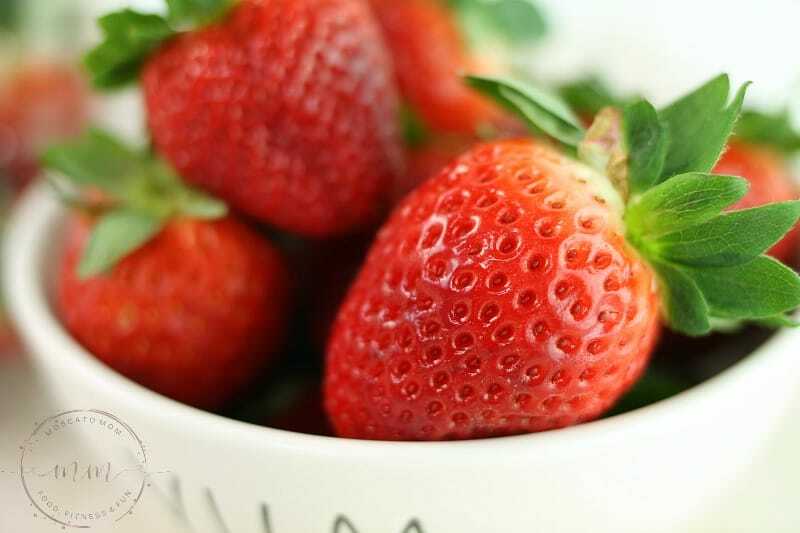 For as long as I can remember I have always loved fresh strawberries. 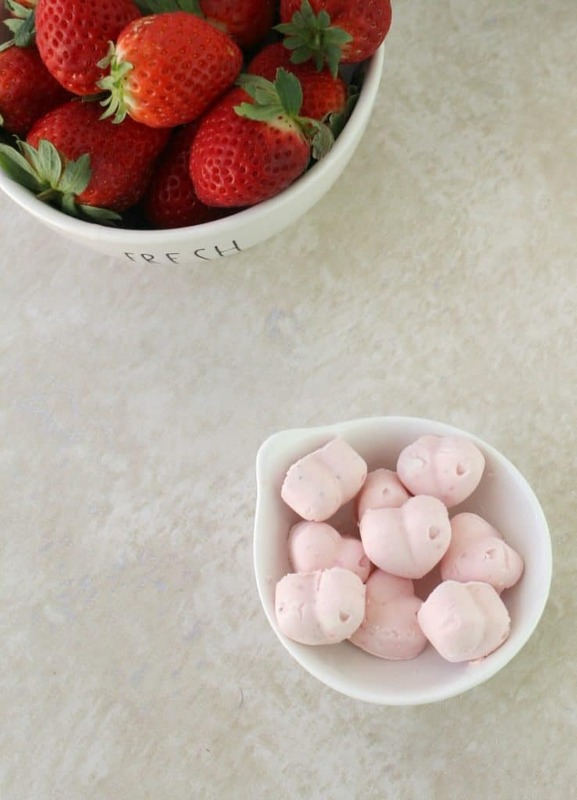 Now that I am living a ketogenic lifestyle I love fresh strawberries even more! 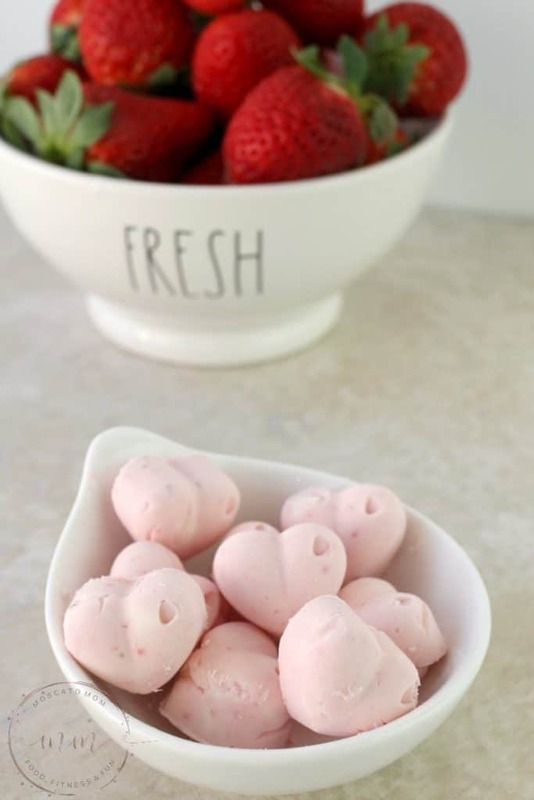 Strawberries are low in carbs but high in antioxidants, making them the perfect base for this keto fat bombs recipe. Living in Florida has made me a bit spoiled when it comes to getting fresh produce year round. 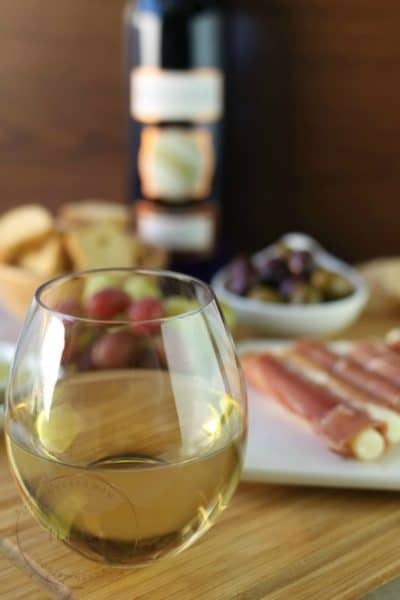 Our amazing Florida Farmers make it easy to enjoy all of your favorites all throughout the year. 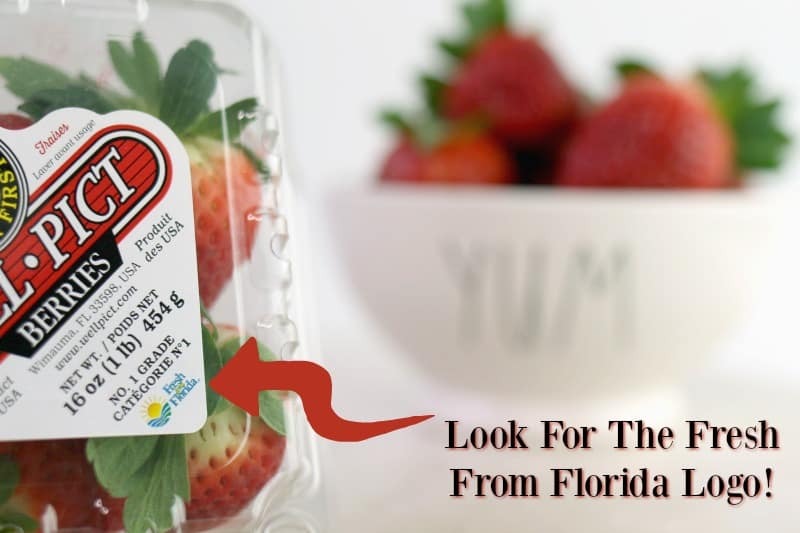 Just look for the Fresh From Florida logo on fresh fruits, vegetables, and even seafood! That little logo lets you know you are getting the freshest ingredients while helping out local farmers. It is a total win-win. 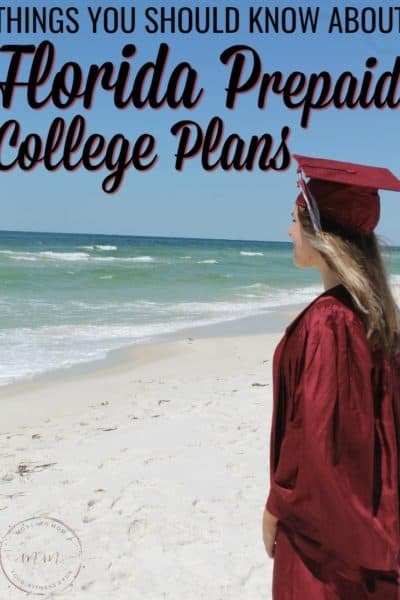 You can find Fresh From Florida produce at many local grocery stores, convenience stores, and farmers markets. 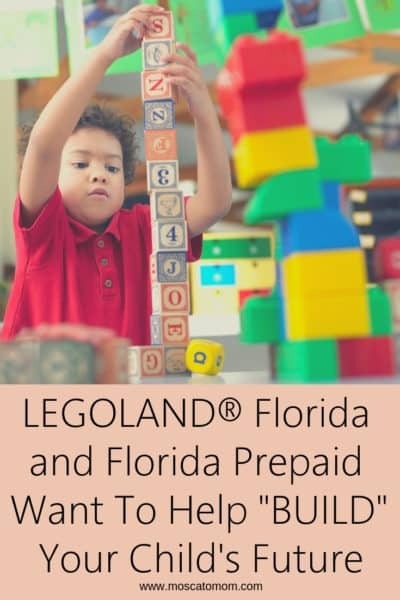 Farmers who use the Fresh From Florida seal are held to the highest standard of quality so you can feel confident that you are feeding your family the very best. I was delighted to see a big display of Fresh From Florida Strawberries for a great price at my local Publix. 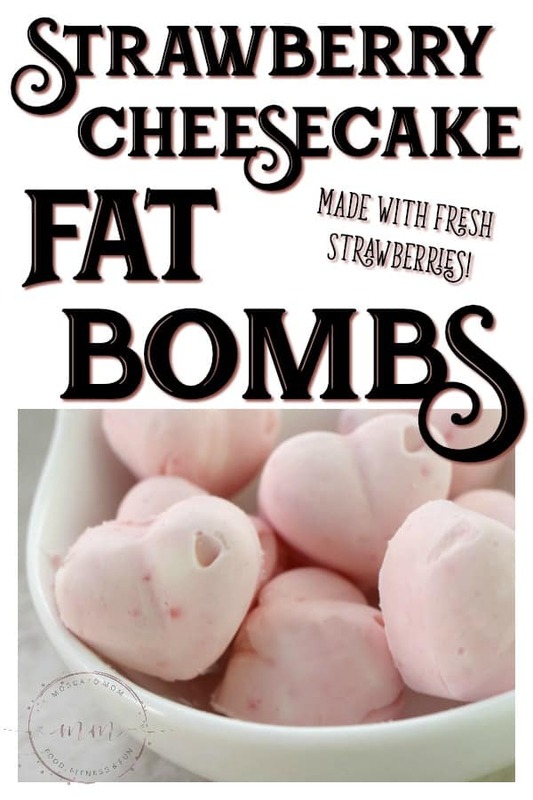 I grabbed several containers to make Strawberry Cheesecake Fat Bombs and other delicious recipes. 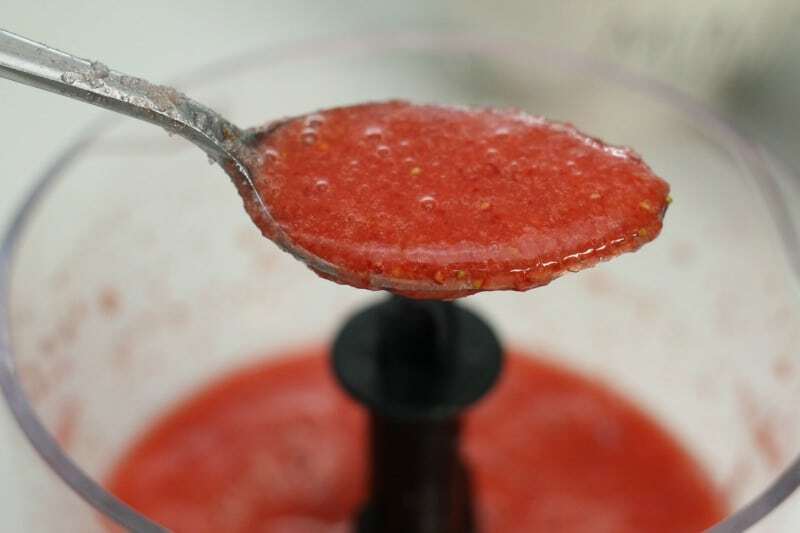 You can find lots of Fresh Strawberry Recipes on the Fresh From Florida website! Want to keep it simple? No problem. 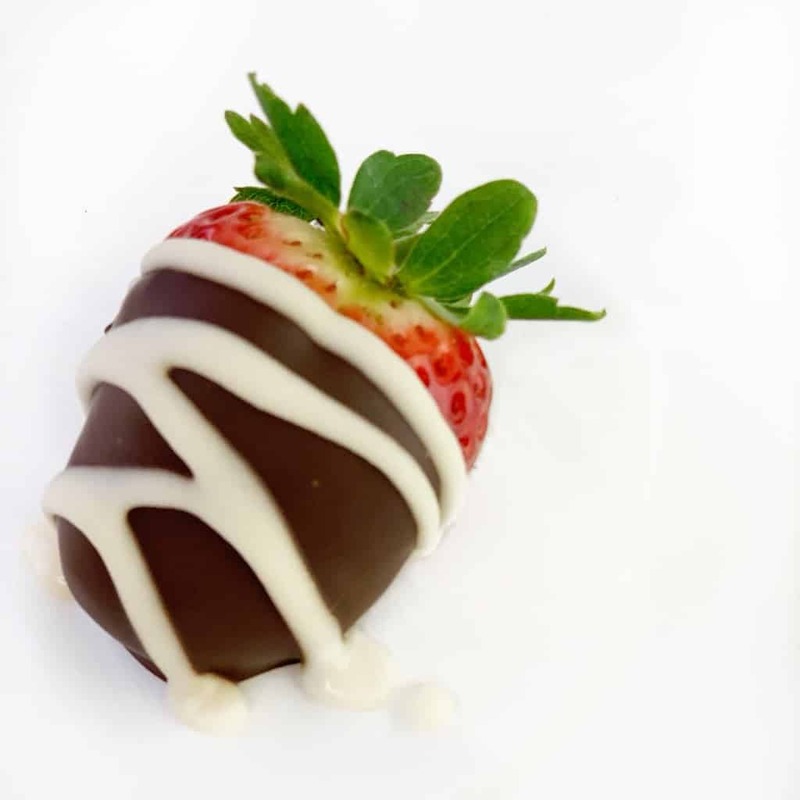 Fresh From Florida Strawberries are perfect all by themselves or dipped in your favorite keto friendly chocolate! No matter how you choose to indulge in these delicious little berries, be sure to look for the Fresh From Florida Logo every time you shop! 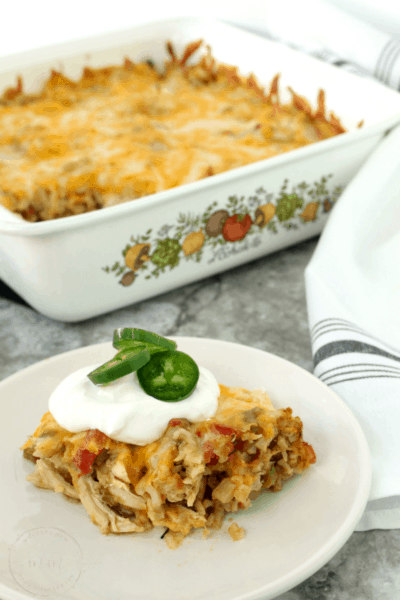 And be sure to “Follow The Fresh” on Facebook, Instagram, and Twitter for delicious recipes and more year round. 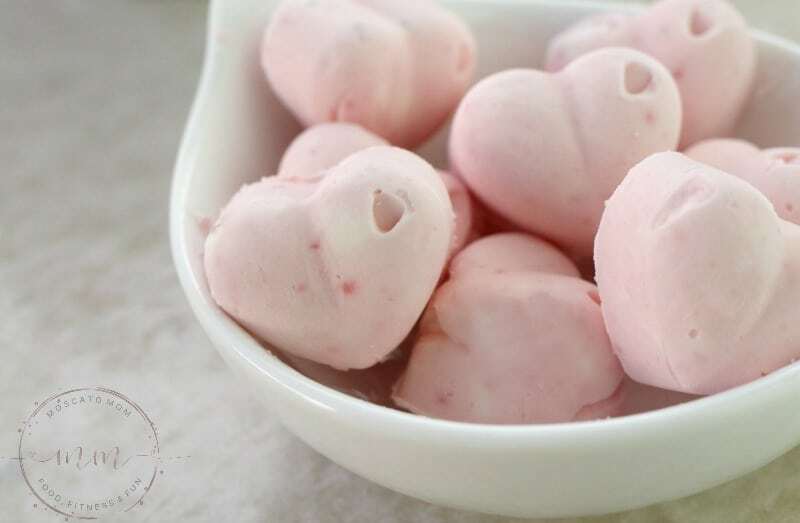 Keto Fat Bombs are a delicious way for you to reach your daily recommended keto macros. 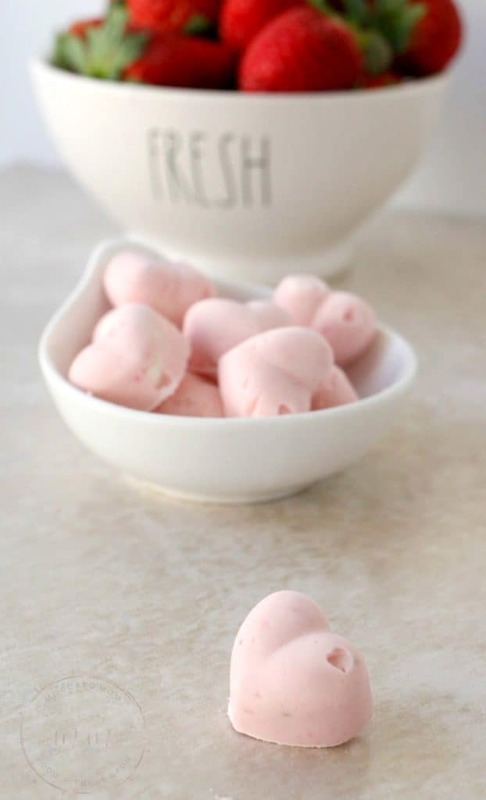 Keto Fat Bombs are generally low in carbs and protein while being high in healthy fats. 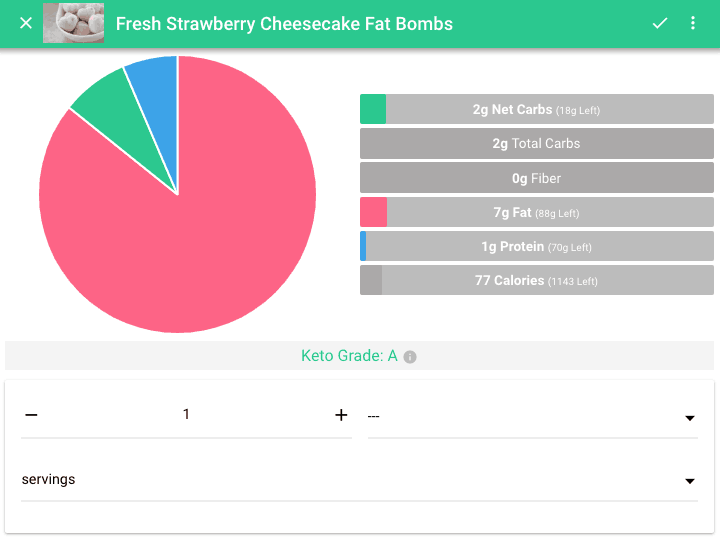 Each Keto Strawberry Cheesecake Fat Bomb has 2 net carbs, 2 total carbs, 0 fiber, 7 g fat, 1 g protein and 77 calories. 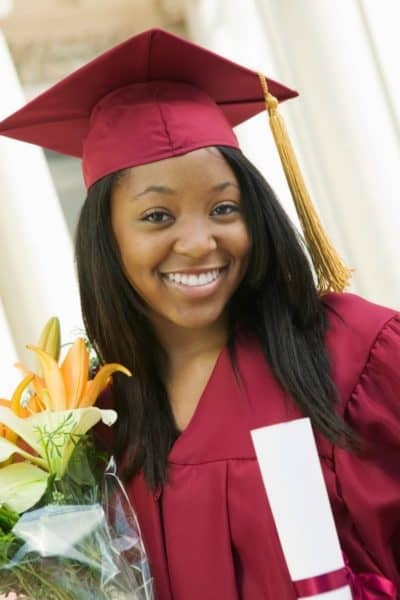 This earns them an “A” rating! 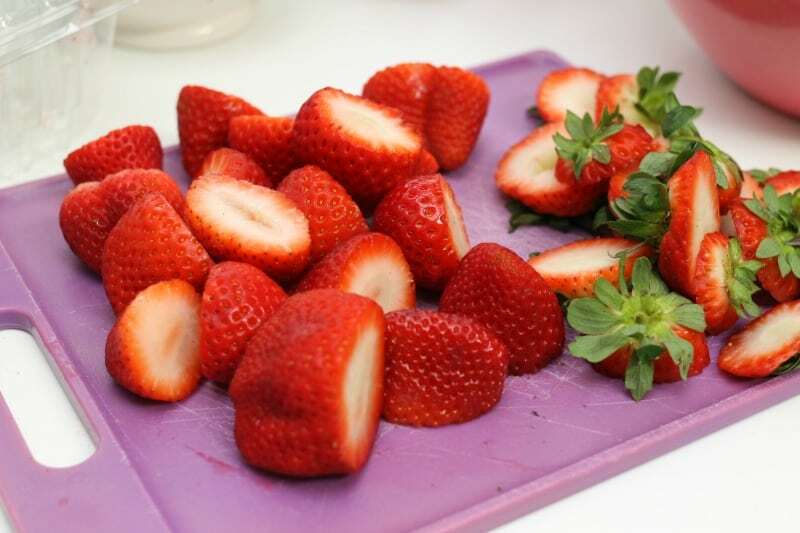 Begin by washing strawberries, removing the caps, and slicing in half lengthwise. Place in a small bowl. 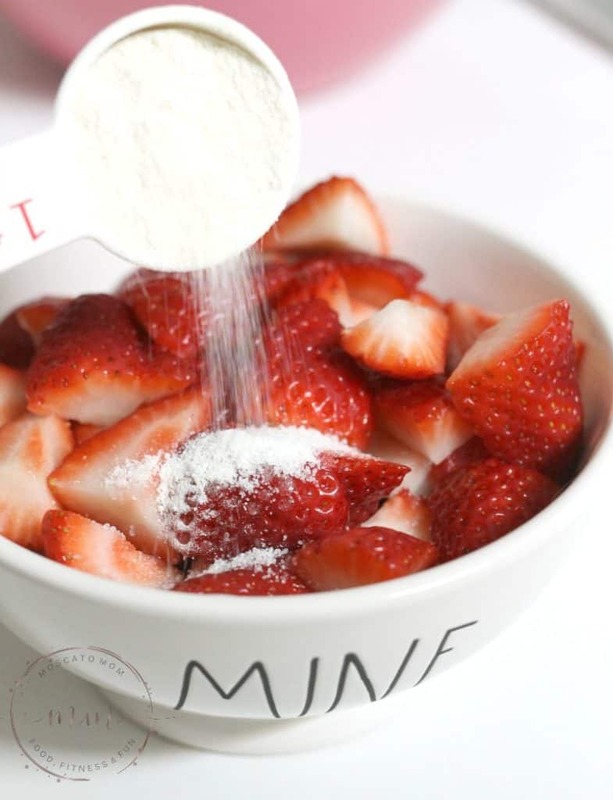 Pour keto friendly sweetener over strawberries and stir. Let set about 15 minutes. 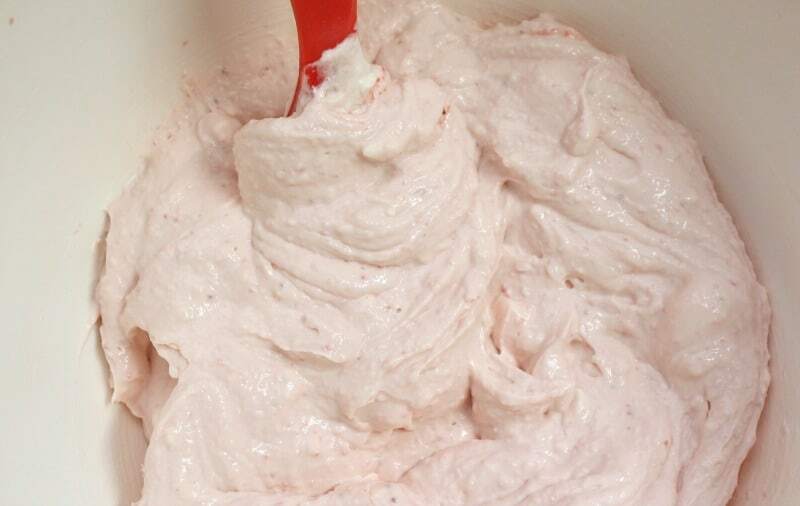 In a blender puree strawberry mixture until smooth. Add in softened cream cheese and heavy whipping cream and mix until smooth. 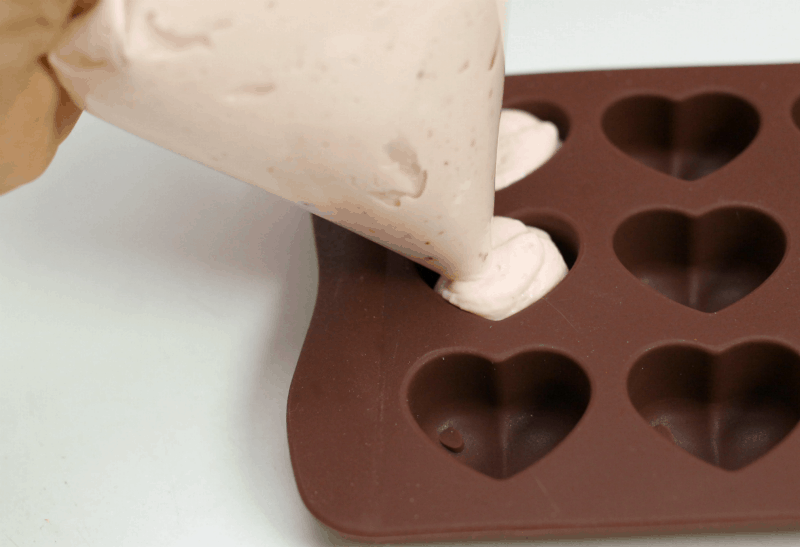 Using a piping bag or sandwich bag with a corner snipped, fill a silicon mold with mixture. Place in freezer for at least one hour. Gently remove each fat bomb and enjoy! Keep refrigerated in an air tight container. Add in softened cream cheese and heavy whipping cream and mix until smooth. If lumps form, let set until cream cheese has softened more.